Just noticed that the new barracks looks similar to Renegade Post. Any ideas on who the Artillery race is going to be? My first guess is Saurians, but they're from KRF, so that might not work. Ronin X wrote: Any ideas on who the Artillery race is going to be? My first guess is Saurians, but they're from KRF, so that might not work. Goblin Zappers or Swamp Thing. Magnus0 wrote: I think there are plenty of ways that enemies can be designed without them being dull. The enemies don't all have to be 'good' human soldiers of different races. Natural inhabitants of the location the game takes place, like spiders, wolves, yeti's etc can still be enemies. DYVyvdhfdugdufdufjxhhfwguxguhfsguGIjfshifdndvhcsjbzjbHF?! Why didn’t I get this in my recommended feed on YouTube?! 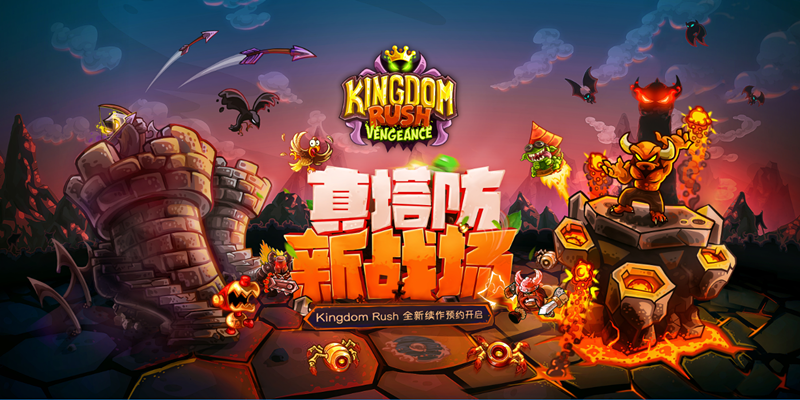 Will there be beta testing for KR Vengeance? *sigh* looks so awesome...FOR THE KINGDOm? I would love to play as the villains. Im just disappointed that the trolls are the artillery. Thats the only main enemy group from KR missing from the picture. I would have expected the golbins to be it because they have goblin zappers. The trolls have no tech, and just use logs and sleds. They would make a far better barracks. nova_n wrote: I would love to play as the villains. Im just disappointed that the trolls are the artillery. Thats the only main enemy group from KR missing from the picture. I would have expected the golbins to be it because they have goblin zappers. The trolls have no tech, and just use logs and sleds. They would make a far better barracks. Uh, they are goblins? They're green. I cant believe that veznan has a twitter account! First look at another enemy which is a Viking. Also what are those yellow things? Are they allies or enemies to Veznan? Yo, where’d you get that pic, sunnydaler? Ninja wrote: Yo, where’d you get that pic, sunnydaler?